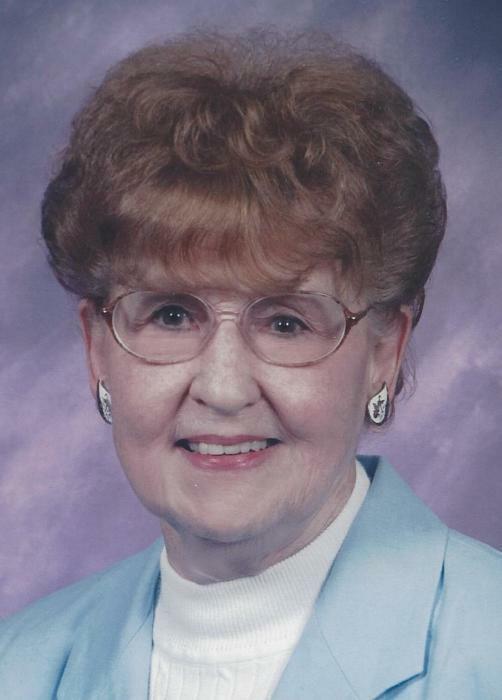 Margaret L. Johnson, 98, passed away April 15, 2019. She was born in Akron on June 10, 1920 to the late Stephen and Anna (Diesem) Barry and retired from B.F. Goodrich with 35 years of service. Margaret was an active member of the Akron Free Will Baptist Church, serving as secretary of the Ladies Auxiliary. She enjoyed baking for everyone, and loved going out to lunch with family, friends and her ladies’ auxiliary friends. In addition to her parents, she was preceded in death by her husband of 47 years, Walter; sisters and brothers-in-law, Rita and Joe Frain and Betty and Joe Labay; brother, Stephen Jr.; step-daughter, Barbara George; and step-grandson, Jordan “Jordy” Davis. She is survived by her step-children, Lillian (Donald) Katz and Walter “Tommy” (Vivian) Johnson; step-son-in-law, Robert George; many step-grandchildren and step great-grandchildren; sister-in-law, Ilene Barry; and several nieces, nephews and other loving relatives and friends. The funeral service will be held on Friday, April 19, 2019 at 11:00 am at the Eckard Baldwin Funeral Home and Chapel, 760 E. Market St., with Rev. Ron Bauman officiating. Calling hours will be at the funeral home for one hour prior to the funeral, from 10 – 11 a.m. Interment at Greenlawn Memorial Park. In lieu of flowers donations may be made in her memory to Akron Free Will Baptist Church, 1802 Eastwood Ave., Akron, OH 44305 or Haven of Rest, 175 E. Market St., Akron, OH 44308. Please share your thoughts and condolences by visiting her Tribute Wall above.